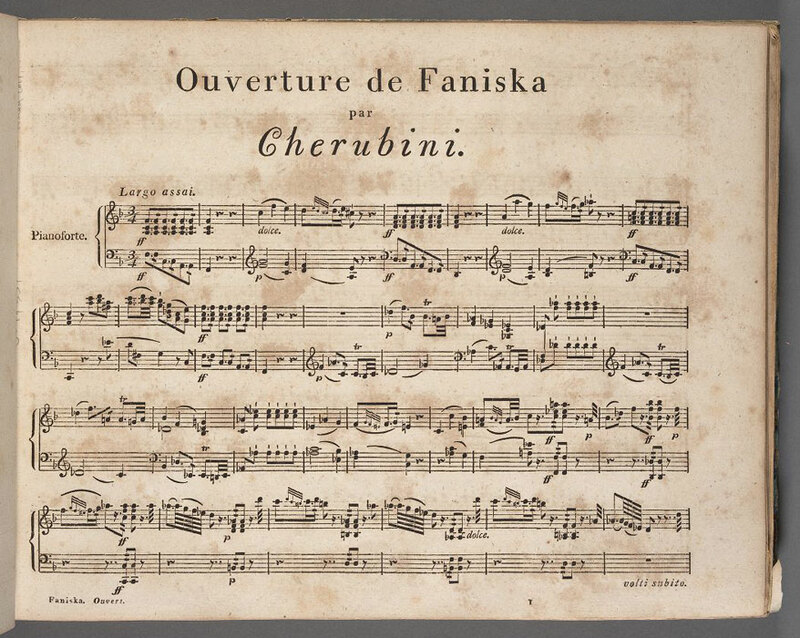 In this overview of recently digitized materials, we add vocal scores by Luigi Cherubini and Peter von Winter to the works already in our collection of Digital Scores and Libretti. They belong to the Ruth Neils and John M. Ward Collection of Opera Scores, a set of over 8000 scores begun by the conductor Jean-Marie Martin, expanded by collector and book dealer Bernard Peyrotte, and now held at the Music Library and the Harvard Theatre Collection1. 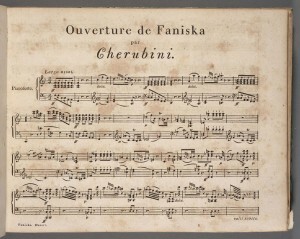 Whether the peril is an avalanche (Eliza), an importunate lover-turned-kidnapper (Faniska), a burning castle (Lodoïska AND Faniska), or the smaller spectacles of simple human jealousy and ambition, Cherubini can be relied upon for operas full of high drama. 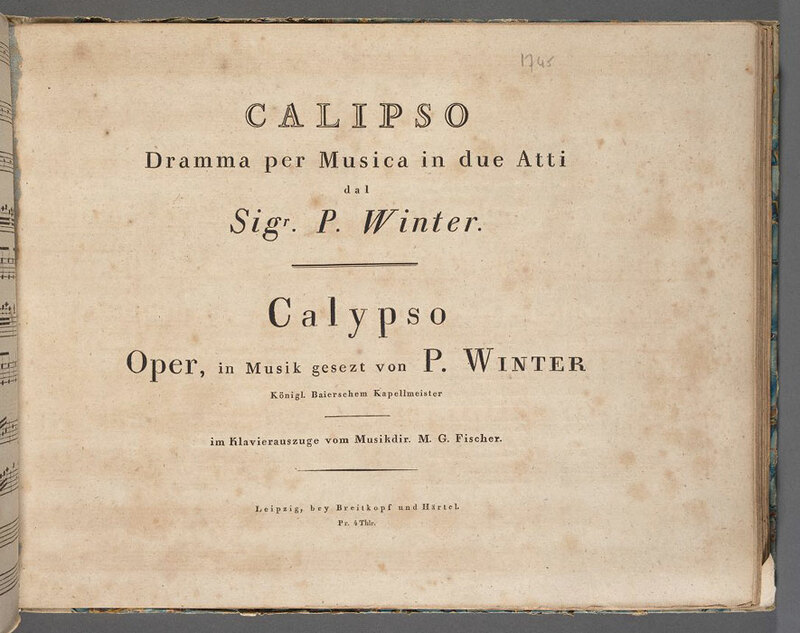 See our earlier digitization posts for links to other editions of these operas (both full and vocal scores), as well as a number of others. [Grotta di Calipso. Vocal score. German & Italian]. 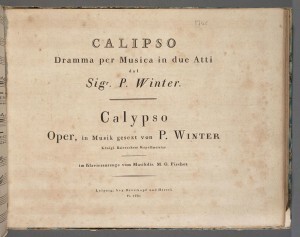 Calipso: dramma per musica in due atti = Calypso / dal Sigr. P. Winter; im Klavierauszuge vom Musikdir. M.G. Fischer. Leipzig: Breitkopf und Härtel, [1809?]. 1. The collection includes scores in both the Loeb Music Library and the Harvard Theatre Collection. HOLLIS search results for catalogued scores in each library: Ruth Neils and John M. Ward Collection of Opera Scores (Loeb Music Library) and John Milton and Ruth Neils Ward Collection (Harvard Theatre Collection). Many thanks to Andrea Cawelti and Christina Linklater, for their help in constructing the correct search for scores from the Harvard Theatre Collection. 2. [Review], Allgemeine musikalische Zeitung 9 (1 January 1807): 560-563, http://hdl.handle.net/2027/nyp.33433069052367?urlappend=%3Bseq=299. Although Hayes’ edition never saw the light of day, the original volume of The Lutes Apology survived the Blitz, and a microfilm of the British Library’s copy now resides in the Isham Memorial Library, one of 300 new items from the personal microfilm collection of Prof. Emeritus John M. Ward. Now in his nineties, Prof. Ward continues to work as a collector and curator of music, theater and dance material for the Harvard libraries. A few years ago, as part of a general house-cleaning, Prof. Ward donated more than 1400 of his personal microfilms to the Harvard University’s Isham Library, a collection of music primary source material where I work as Associate Keeper. Over a two-year period, I had the pleasure of sorting through all the films in order to identify items that could be added to the Isham catalog; see this Ward Films Inventory (PDF) for a list of these new acquisitions. 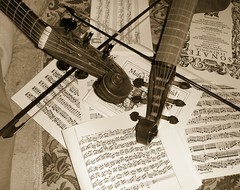 Duplicate films were claimed by the Music Library at Case Western Reserve University in Cleveland and the Lute Society of America. Are all Abortives, perish[ed] in the Birth. Might like the Spheres move in Eternall pleasure. 1. Gerald Hayes, Music in the Boteler Muniments, The Galpin Society Journal 8 (1955): 44. Requires Harvard ID/PIN for access.